How to apply: To completely erase the dark pigment, you need the heavy coverage of a cream concealer, says Dedivanovic. "Cream concealers have a thicker texture with less oil than liquid, so they last longer." He recommends applying the concealer with a brush just where the darkness is. 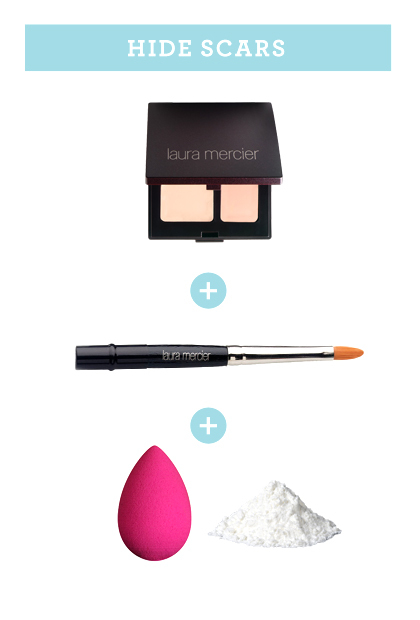 (Try Laura Mercier Secret Camouflage, $30, and Laura Mercier Secret Camouflage Brush, $26.) Then, apply a dab of lifting concealer, which will provide a highlight. Finish with a damp sponge and loose powder to blend it all together.